Welcome to FarmsReach! Membership is free, and registration takes all of 2 minutes. If you are already a FarmsReach member, please sign in for full access to resources. 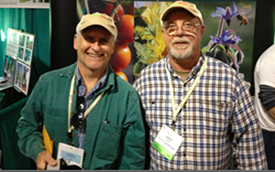 Join our community of farmers, suppliers, service providers and partner organizations! Membership provides full access to a wide range of services and resources, and allows you to participate in valuable discussions with your peers and supporters across the farming world. Join our community today and take part in building stronger and more expansive farmer networks across CA.